Marking 5 years of data collection from the GW Extremism Tracker, the Islamic State in America 5- Year Review breaks down key figures in an annual analysis of the 170 individuals charged with I.S. related offenses since the first arrests in March 2014. 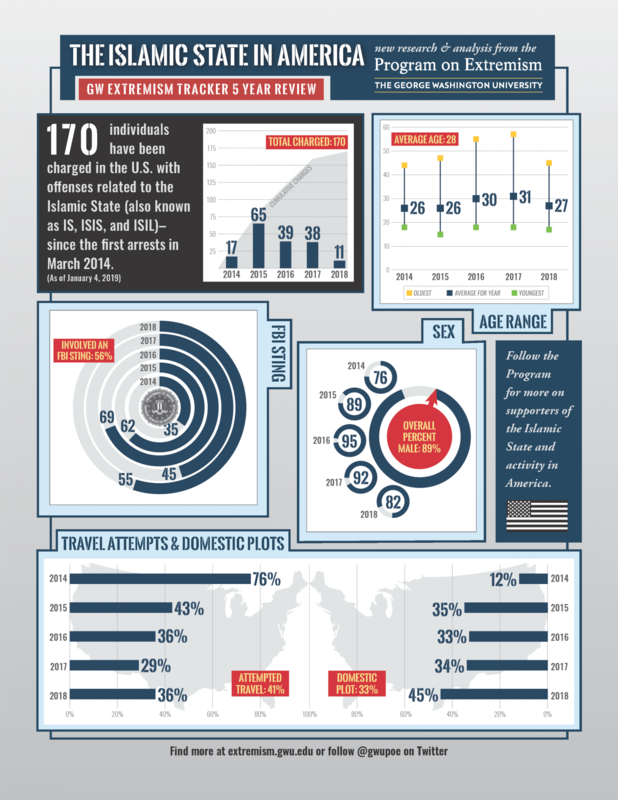 Each month, we release a one-page infographic summarizing the latest ISIS in America statistics from our GW Extremism Tracker.